This article is 378 days old. The Windsor Symphony Orchestra has a new Assistant Conductor. Wiley will take the rile on June 1st and is the second conductor to hold this position in WSO history. He was chosen from nineteen applicants from across Canada and the United States. Wiley will be responsible for all duties related to the Windsor Symphony Youth Orchestra and Junior Strings and will also, as Assistant conductor, plan and conduct Education Concerts for Grades K-3, Community Outreach concerts, and other educational services, Main Stage concerts from time to time, and actively participate in the direction and developments of educational outreach. “I am thrilled that Daniel Wiley will join the WSO team as our new Assistant Conductor. Not only will his skills as a musician be a tremendous asset to our organization, but Daniel’s depth of experience in the world of education will enable the WSO to ratchet up the work that we are able to do in the Windsor/Essex community. Education and Community Outreach are a key pillar to the success of the WSO and having Daniel participate in these areas will be invaluable towards our efforts,” said WSO Music Director Robert Franz. 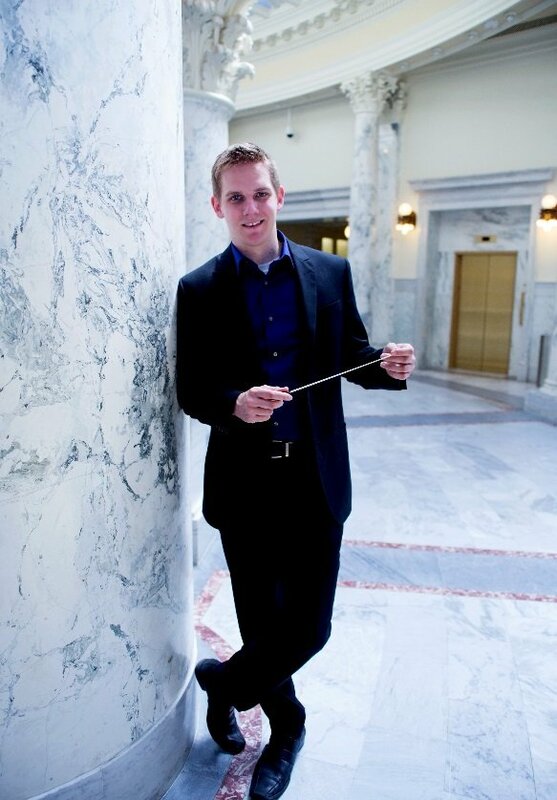 Wiley has a Bachelor’s degree in Music Education from Boise State University and a Master’s degree in Orchestral Conducting from the University of North Texas. Until his appointment with the WSO, he was pursuing a doctorate in Orchestral Conducting at the University of North Texas, where he also conducts student orchestras. Daniel was a participant in the Conductors’ Guild Workshop delivered by the WSO in fall 2017. “I am ecstatic to be joining an organization that is so fully committed to connecting people through the power and passion of music. The WSO is a truly invaluable resource to the Windsor-Essex area. I look forward to bringing my own unique perspectives and experiences to continue to make the WSO’s vision of an indispensable cultural asset a reality,” said Wiley.